Our diving center organizes from 4 to 13 April a series of free diving schools in Kos (amateur and professional). 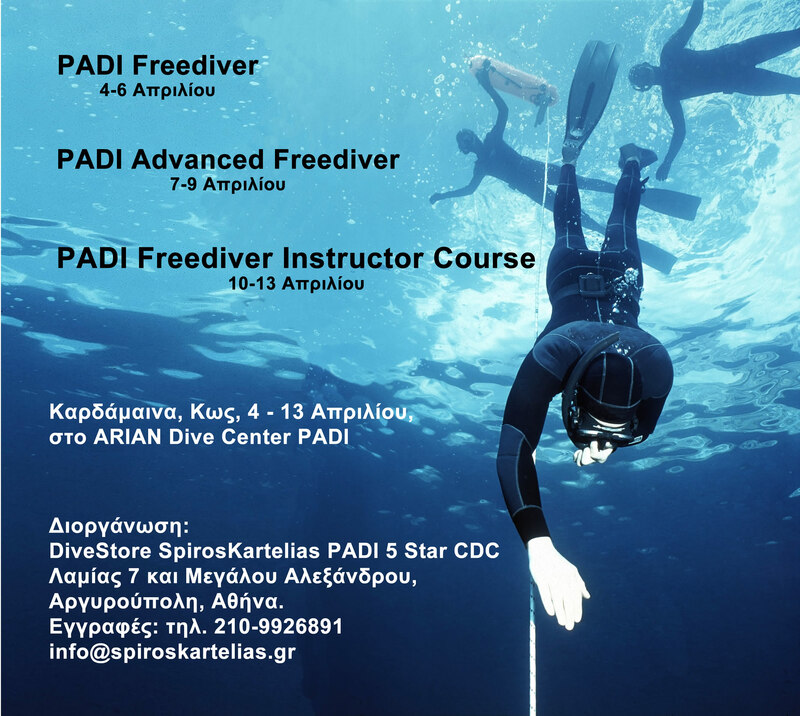 Our purpose is to facilitate PADI trainers from the Dodecanese who wish to become a free diving instructor for their PADI diving centers. Those interested in participating please contact us for more information.